Current: How to Create Network Diagram? Want to create network diagram? We will provide you with an introduction on network diagram and let you know how you can create network diagram with our network diagram software. A network diagram shows how computers and network devices (e.g. 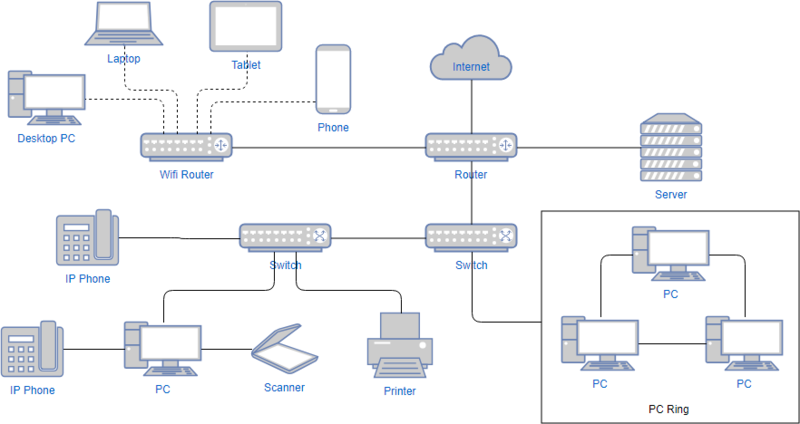 router, switch, etc) connect with each other within a network. It is widely used in network architecture design. A typical use of network diagram is for tracking down network issues by studying how the computers and devices are connected and inter-related. A network diagram visualizes the structure of networking devices under a domain. It shows the devices involved in a network (e.g. 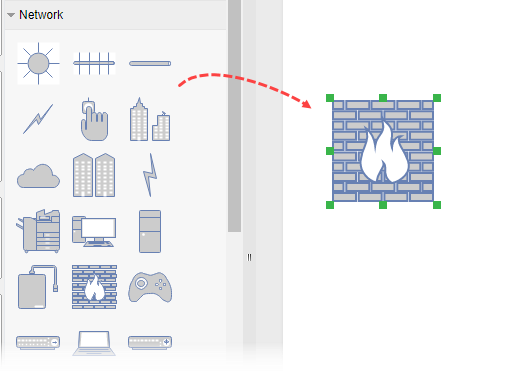 routers, hubs, firewalls, etc) and how they interact with each other. Network diagram has a rich set of symbols which makes it easy to visualize different kinds of network. How to Draw Network Diagram? 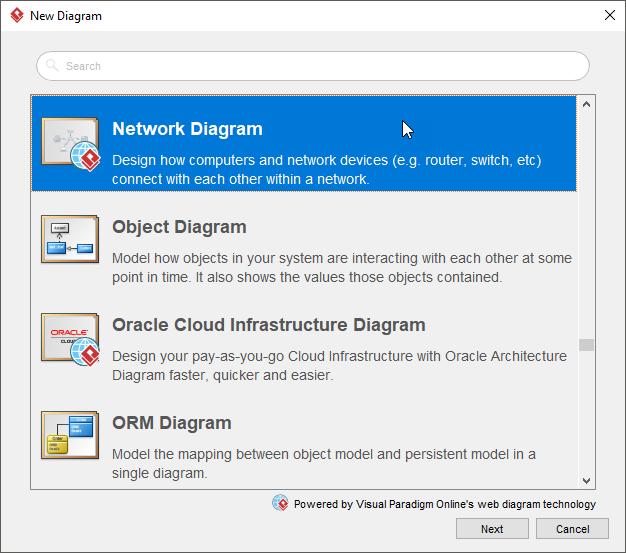 In the New Diagram window, select Network Diagram and click Next. 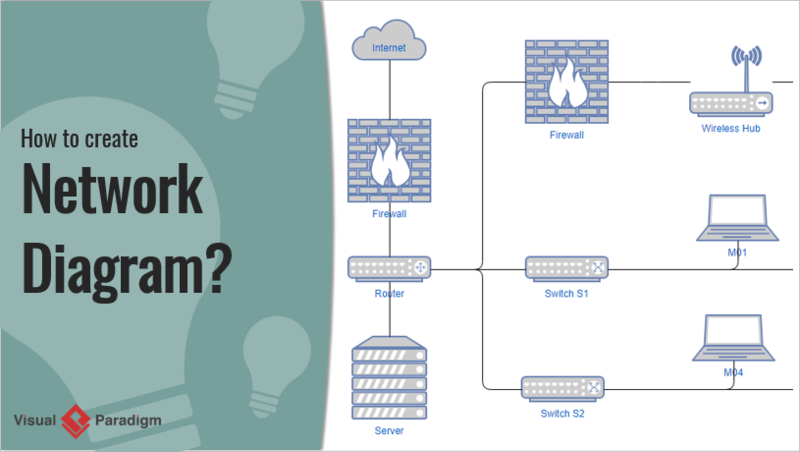 Select an existing Network Diagram diagram template, or select Blank to create from scratch. Click Next. Drag and drop the symbol of devices that form your network from the palette onto the canvas. Connect them with proper connector lines.